The yearly drive to Zambia is part of my annual cleansing process. It takes me about four days to reach Lusaka and I normally work my way up via Namibia, head along the Caprivi and enter Zambia at Katima Mulilo (Sesheke). The border post is well organised with no hassles. However, the road from Sesheke to Livingstone is another story and this year I convinced myself to rather in future enter via Botswana at Kazungula border. This let me cut out the tar road between Sesheke and Kazungula, which is littered with deep potholes. Progress is painstakingly slow and with a heavily loaded vehicle, damage to the tyres or suspension is always a possibility. 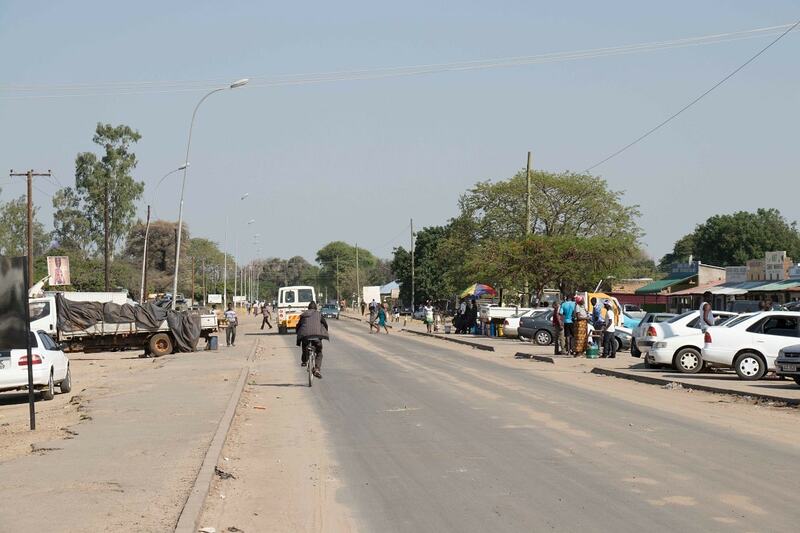 Police stops in Zambia are a frequent occurrence, but unlike their Zimbabwean counterparts, the Zambian police have no interest in extorting money from tourists. In all six years of travelling, I’ve had to show my driver’s licence on only a few occasions – my foreign registered vehicle was mostly just waved through. 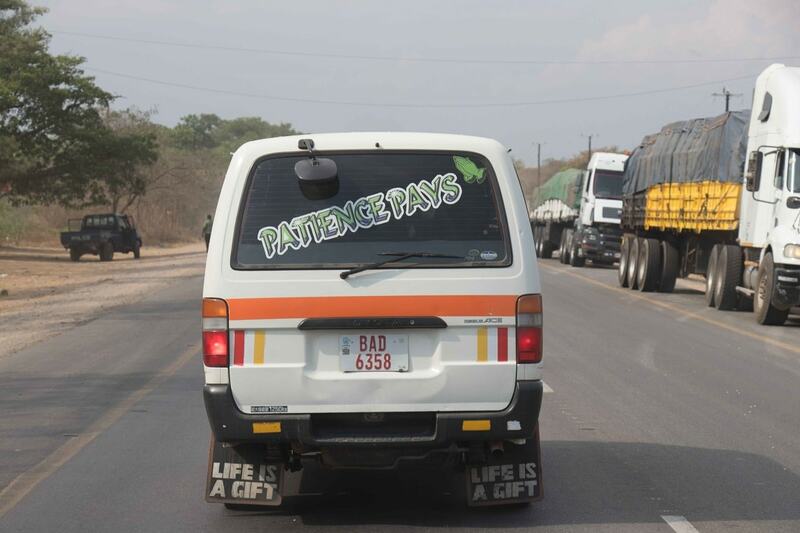 Zambian roads are unpredictable: be cautious of potholes or broken-down vehicles. Small towns and villages along the main road will be announced with speed humps which could dislodge your suspension if not treated with respect. So, take it easy and mind stray animals, bicycles and buses, which will all compete for your lane. Did you know that green branches in the road signal a broken-down vehicle ahead? 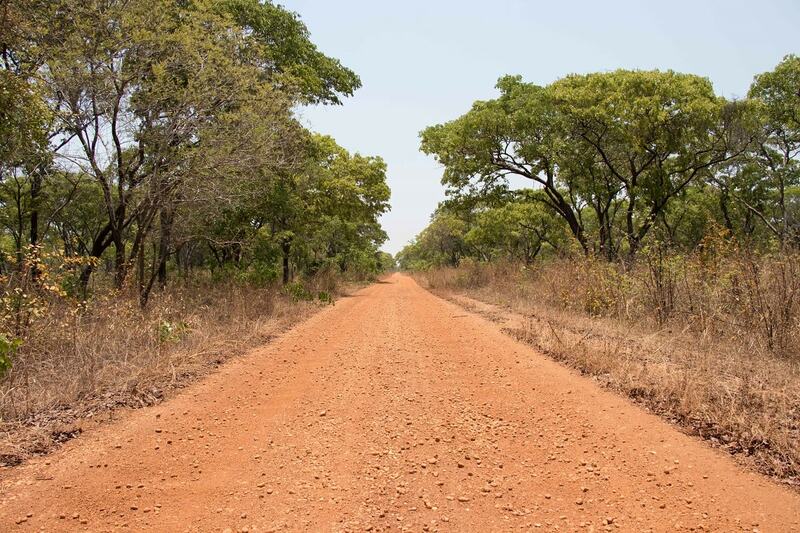 Gravel roads in Zambia suffer from seasonal water damage. You may be lucky to find a good route only to return next year to find it destroyed by water and too much traffic. In Zambia, it’s safe to assume that rain and gravel roads aren’t the best of friends – adventure to some, but disaster to others. A four-wheel drive vehicle is always advantageous, even if it’s just for the bigger wheels. Planning on visiting national parks or other off-road destinations? A 4WD with low range is advisable, if not a necessity. Although fuel is readily available in bigger towns, smaller towns regularly run out of juice while waiting on delivery trucks. And even if supply is regular, storage capacity unfortunately does not keep up with local demand. For this reason, I like to fill up in major towns where you can also buy low sulphur diesel (LSD) as opposed to the crude oil that passes for diesel in smaller towns. But exactly how low is the sulphur content? It’s not 50ppm, as my good friend in the auto business in Lusaka assured me. Good friend says fuel filters in Zambia sell like hotcakes and injector problems on the latest diesel engines are a regular occurrence. Everyone is hoping that with deregulation, the market will open for imports to drive the demand for clean diesel. Take note that for fuel, only cash is accepted. You will need some Zambian kwacha to pay for cross-border charges and unfortunately the only place to obtain this is from money vendors at the border. I exchange just enough to get me through the border and then go to a forex in the nearest town or withdraw cash from an ATM. It is advisable to carry USD to exchange or even pay with at lodges and some camps. Most rural areas are accessible – ideal to track down waterfalls or one of the hundreds of beautiful rivers. Wherever you go, ask the village headman if you can set up camp. Without fail he will show you a nice shady spot to pitch your tent. We normally take some supplies for the village and pay one or two of their men to assist in the camp. Although one can do without this help, we find it a courtesy to offer temporary employment and allow them to take advantage of your presence. For me, this is similar to paying my camping fees at formal camps. In Zambia’s national parks, varying forms of accommodation are available. In general, I prefer either top-end lodges or campsites with very little. Top-end lodges will charge more than USD1,000, so most of the time camping is the way to go. Park entry fees will vary, but expect to pay in the region of USD15 per person per day if you are a SADC citizen. In Zambia’s national parks, varying forms of accommodation are available. In general, you will either get top-end lodges or campsites with very little in between, however, look for places around the parks which offer fair value. I suspect as the demand from self-drive travellers increase, there will be more on offer. This is evident around South Luangwa National Park, but then you have to be content with lots of tourists. Top-end lodges will charge more than USD1,000, so most of the time camping is the way to go, especially if you want to visit areas off the beaten track. Park entry fees will vary, but expect to pay in the region of USD15 per person per day if you are a SADC citizen. Distance in Zambia may be deceiving. To cover 500km is not necessarily a five-hour excursion, even on a main tar road. Many ‘obstacles’ will lower your average speed, so allow plenty of time when you plan your trip. On the Tracks4Africa maps we aim to give you accurate travel times, but conditions may change with seasons. Be conservative when time’s an issue and chat to travellers who have recently traversed these roads. Zambia is in a different league to South Africa, Namibia and Botswana in terms of ease of travel, but it is a very rewarding country to explore if you are willing to rough it just a little bit more. Every year I visit Lusaka to be surprised by yet another mall. Expect major South African brands all over the city. In every bigger town you will find a Shoprite with anything you might need, South African red wine included! Lusaka is a big city and the traffic makes it difficult to cross during the week. Plan your stay in Lusaka so you enter or exit at the correct side of the city. On the eastern side of the city where the airport is you can stay at Pioneer Camp, which is just outside the city. On the southwestern side of the city you should rather stay at Eureka Camp. There are shopping malls on either side of the city. Allow extra time if you have to drive through the city during the week. In time for Christmas, get your hands on T4A’s Traveller’s Atlas Southern Africa with detailed maps and expert travel tips on 10 African countries, including Zambia. I read that you can drive on tar roads from Jozi to Tanzania but the diesel 50 ppm supply is unreliable. I would like to do the trip but am put off by the fuel problem. What about fuel supply in Tanzania and North Zambia. I want to drive all the way to Dar es salaam. Hi Farid, I am not familiar with diesel quality in Tanzania but in Zambia you will find 50ppm in major towns only. My guess is that it would be hard to find in Northern Zambia. Even in Lusaka you have to shop around to find 50ppm and it is not sold as 50ppm it is only sold as ‘clean diesel’. Your write up is very correct except both your recommendations of Accommodation in Lusaka is not that good , In the old days Eureka was a great spot was there last month , run down and very expensive and dirty chalets , if you want a place south of Lusaka there is some very new and clean motels in Chalanga about 5km before Eureka or 21 km before Lusaka. As for Pioneer Camp it is a 5km rough as guts road once you leave the highway, instead there are some nice motels on airport road after the roundabout and Falls shopping centre towards the airport with secure parking around $35 per room. pioneer camp is very pricy , as they get a lot of Europeans who have no problem paying the prices, and the lodge is a bit tired. Camping area is good. The Chongwe Toll Plaza North east of Lusaka has become the ninth inland Toll Plaza to be opened since the beginning of the National Road Tolling Porgramme which covers all vehicle classifications. Recently the NRFA commenced Road Tolling at simplified Toll Plazas at Chembe in Luapula Province, Kalense and Kateshi in Northern Province to add to the existing Toll Plazas at Katuba, Shimabala, Mumbwa, Manyumbi and Kafulafuta. It is envisioned that a total of 40 Toll Plazas will be in operation across the country by the end of 2018. Your article mentions that unlike Zimbabwe, the police in Zambia don’t extort money from tourists (although Eggie above seems to disagree). My husband and I have travelled extensively in Zimbabwe over many years in our vehicle with SA plates. We have been stopped at innumerable police check points,and never once has there been the slightest suggestion that we need to pay a fine/contribute to the community etc. I guess these different experiences are what makes road trips in Africa so interesting! The police will not tell you to hand over money, however they are super critical of your vehicle and will fine you for even the slightest problem. I travelled to Victoria Falls in 2016 and was stopped on the main road. There were five officials circling the vehicle to find a problem. They declared that my silver sticker on the front bumper was not up to their standard and that I am being fined USD20. I did not argue and paid but when I received my driver’s license I asked the official if he wonders where all the tourist went because it seems like they do not want them here. He was very embarrassed and apologised to me with the excuse that he has a quota of USD300 per day to fill on this ‘very quiet’ road. I discussed this with other travellers and those who avoid the main roads do not experience this, however I have heard many accounts of really ridiculous fines being issued around the main centres. Has anyone information about North Luangwa? i have already been in Kafue, Lower Zambesi and South Luangwa. I love Zambia and most of the people. Roads are somtimes real bad but it has already very much improved.in recent years. can someone advise me about North Luangwa? We loved Zambia! The perfect place for 4×4 adventure. Note: There are also very nice ‘in between’ options between top-end and simple camping. Have a look at Malama Umoyo Cottages. 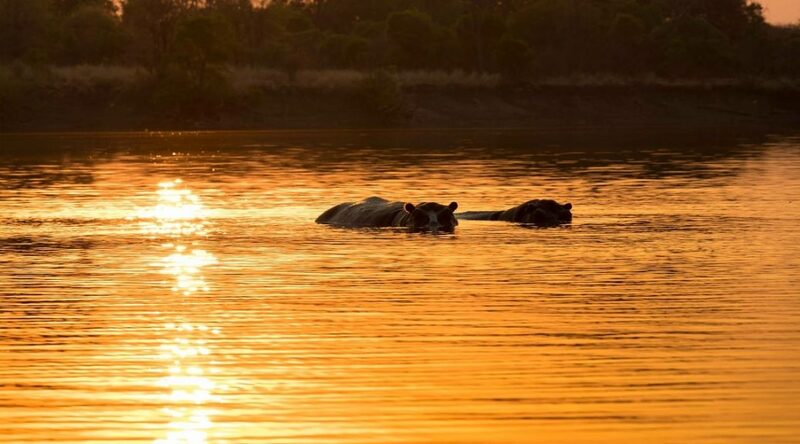 A stunning place at the Luangwa River along a genuine 4×4 road (Petauke to Mfuwe) with lots of wildlife. We loved to stay there (Self catering). Very nice people who run the place and the facilities are first class. I agree with all the comments in the article but Zambia is very expensive. Low sulphuric diesel is more expensive than petrol, if available. When visiting in August petrol was almost R17/l and as mentioned not readily available in rural areas. Hi Tom, the current price is around R13-R14/l but I am told it is being subsidised to keep the people happy. The kwacha is even stronger than the rand these days. Who knows how long this situation will last. A few years back we paid about R18/l for diesel. The price of fuel in Zambia is the same as Malawi, and Tanzania. Price for Petrol is Kw12 and Diesel Kw10.5 exchange rate KW10 to the USD fill up in Botswana its P8 in Kasane also their are 2 ferry companies the bots ferry is much cheaper if you have Bots or SA plates crossing the Zambezi to Zambia. Also there are toll gates in Zambia at present only 1 between Livingstone and Lusaka cost K28 per car. there will be 5 when they are finished. Between Lusaka and copper belt or the northern there are several so far. Thanks Johann ?… especially with Zambia & Mozambique you can never have enough up-to-date info on the road conditions. I’ll be blunt – I’m not a fan of Zambia, not any more. We felt we were ripped off at the Sesheke border. You pay for this, and this, and this, and then community fees (!! )… So fine – no actually not fine. Onwards to Livingstone the road condition is bad, seriously bad. 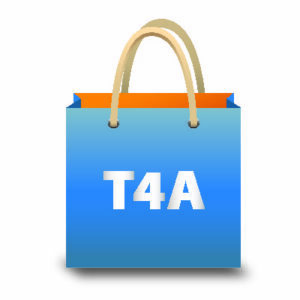 To the extent that you could easily damage your vehicle, but this we can handle (TIA). Just outside Livingstone we were stopped again and a uniformed police officer checks everything and all is fine. No, actually not fine, for it is time to pay – you guessed it: “Community fees”. I show my previous receipt and get the smart answer – “Yes, but this is a different community”. So you pay again. Fine? No, not fine at all. I know when I get ripped off. Now you start thinking that this could become a very, very expensive trip, and it is definitely not conducive to a relaxing holiday. We stayed at Maramba near Livingstone for a few days, had a look around, visited the Falls and left for home. So on the same route back we get stopped again and paid more of these “community fees”. Obviously now just to make sure we are not welcome here at all, and that weneed not ever return to this type of abuse. @Johann G – are these “community fees” legit or simply extortion? What’s the recommended approach / response to overcome abuse? Hi Grant and Eggie, the community fees are legitimate. You get a receipt for what it is worth. The problem is that these fees are per district so as you pass through other districts you have to pay their fees. Normally not much. 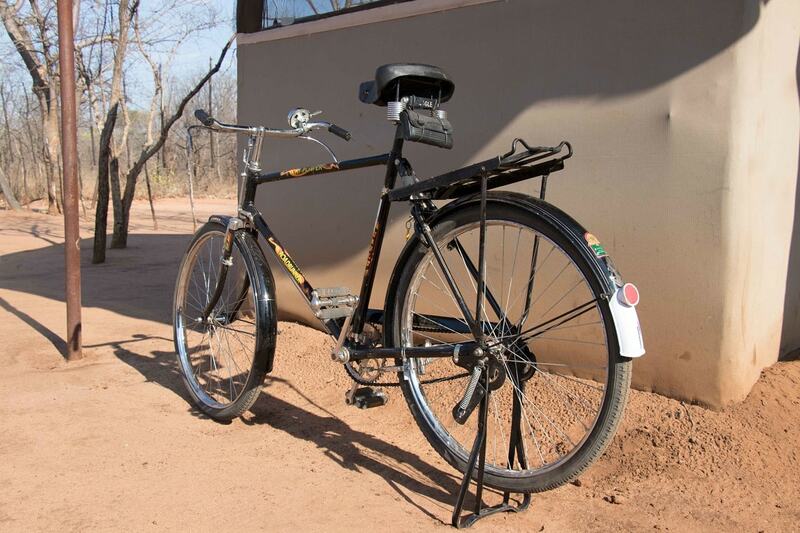 It is something which I have only encountered in the western parts of Zambia. When I return through the same district I refuse to pay again since I have a valid receipt. There are now also new toll booths being constructed all around Lusaka on the main highways. My friends in Lusaka told me about this and I paid at the one on Kafue RD (south of the city). 20kwacha. Then a few days later I was driving west towards Kafue NP and here the official asked me if I can show my Road Fund receipt which I got at the border. She checked the dates and then declared that I do not have to pay the toll and I saw her putting it through the computerised system as a zero rated transaction. So, if you travel in a foreign registered vehicle and have your Road Fund receipt, it seems that you do not have to pay the toll at these new points. I am not sure if all officials know about this rule though. Thanks Johann – where are you useful. 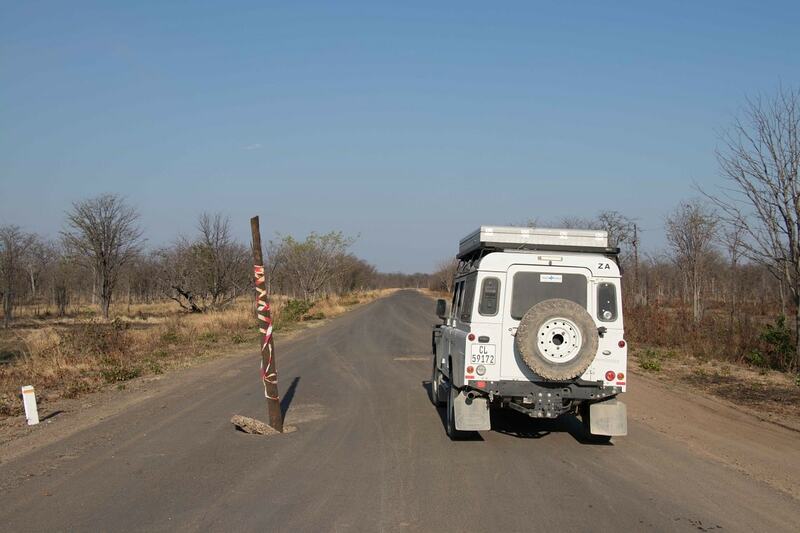 One last point if I may?…I’m travelling from Lusaka to South Luangwa in Sep next year and wanted to know if it’s feasible to get from Lusaka to Croc Valley camp in one day?…via Chipata or via the gravel road “shortcut” that heads North much earlier? Hi Grant, You can drive from Lusaka to the entrance gate of South Luangwa in a day via Chipata. It is paved all the way. It will be a long drive though (10hrs) so start early and if you travel during the week then I would suggest camping at Pioneer Camp which is already outside the city. This way you avoid early morning city traffic. The gravel shortcut may well be the same travel time, but it will depend on its condition at the time. I would suggest asking the lodge management this question closer to the time and then make your decision. Fuel could also influence your decision as Chipata is a major centre where you will be able to find fuel. I have not personally done the gravel shortcut but I have heard from others that it is a worthwhile drive to do. The new toll gates are like SA pay each time you travel, the Road tax you pay at the border is valid for 30 Days, keep the receipt. the council tax you talk about is valid but its collected by a council worker and most times after 16hr and weekends no one is there.